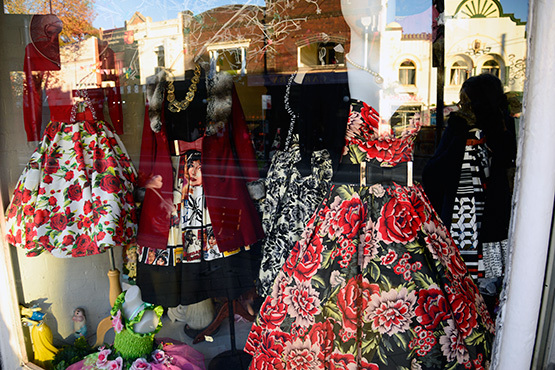 Quaint shops line King Street adding to the appeal of Newtown. 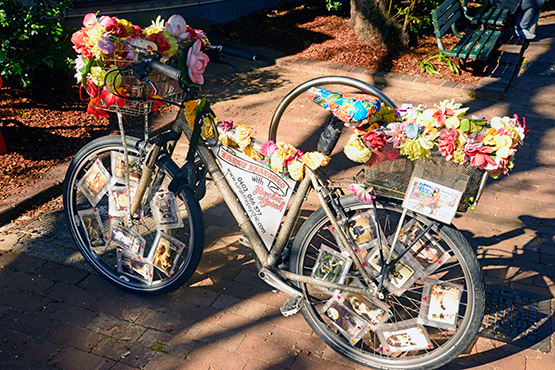 Newtown is one of Sydney's most interesting destinations for visitors.It's a cosmopolitan melting pot and offers glimpses of alternative living at its best. It's also a magnet for gays and lesbian, both as a place to live and one to visit. 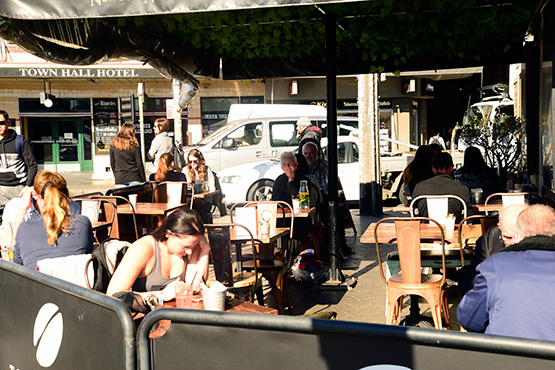 Activity in Newtown largely centres around King Street, which offers the the biggest number of cafes of any of Sydney's eating precincts. The two-kilometre strip of commercial buildings in King Street is largely taken up by shops and cafes. The King Street shopping strip is so important that it is listed on the Register of the National Estate. The street is considered the best-preserved Victorian-era high street in Sydney. 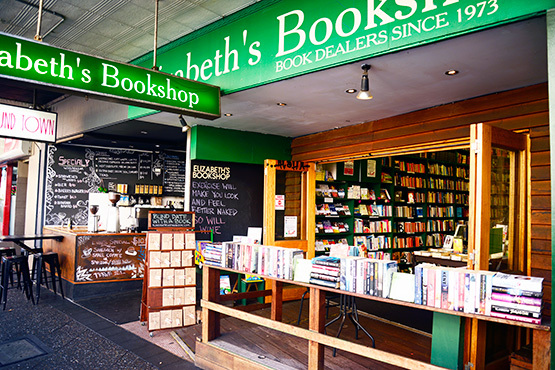 It's Victorian and Federation-style two and three-storey shopfronts run the length of the shopping strip, making it the longest strip of shops and cafes in Sydney, and Australia. 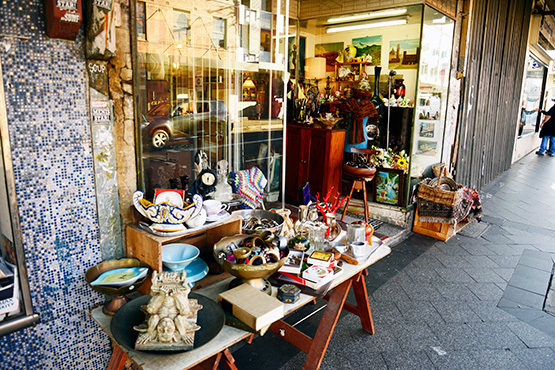 If you walk up one side of King Street and then back down the other, you've walked more than four kilometres, and in the process have got to browse at some of the most interesting and unusual shops and cafes in Sydney. King Street is often referred to as "Eat Street" because of the large number of cafes, pubs and restaurants of different ethnicities. 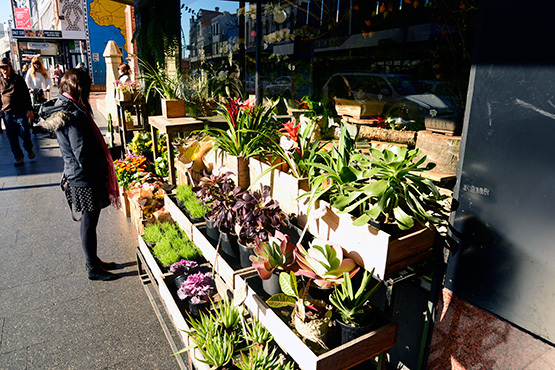 This is one of Sydney's best-known food precincts, drawing locals and visitors alike. Many of the eateries in King Street are also largely alternative and typical of the interesting and appealing type of cafes, restaurants and coffee shops you now find in the inner and old parts of cities worldwide. Ethnic cusine includes Thai, Indian, Lebanese, Chinese, African, Sri Lankan, Turkish, Italian, Japanese, Vietnamese and Greek cafes and restaurants. Menu prices range from cheap to exepensive. There is also a number of vegan and vegetarian eateries. Inside, the cafes are quirky and enticing. There is any number of coffee shops along the King Street strip. One of these must have claims to the title of smallest coffee shop in Australia. It's delightful and a must-see. 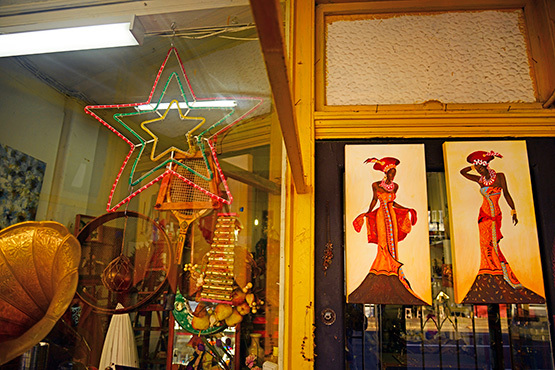 The street is also home to a huge book barn, galleries, microbreweries and antique and curio shops. 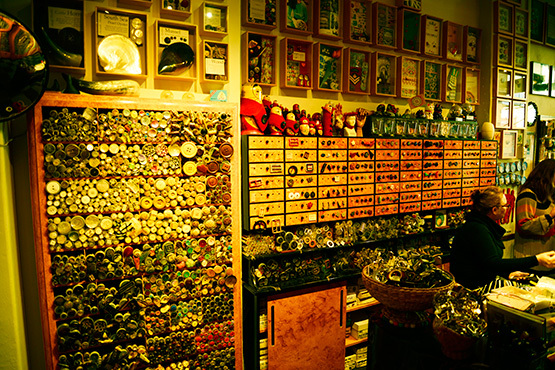 One of the latter has to be one of the most interesting and refreshingly different curio shops in Sydney. 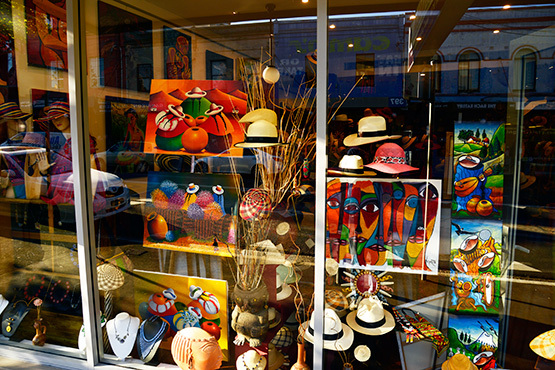 There are numerous fashion stores in the street, some of which offer a huge range of seconds. The suburb has a number of landmarks buildings, the most well-known being the Trocadero, Burland Hall, Hub Theatre. 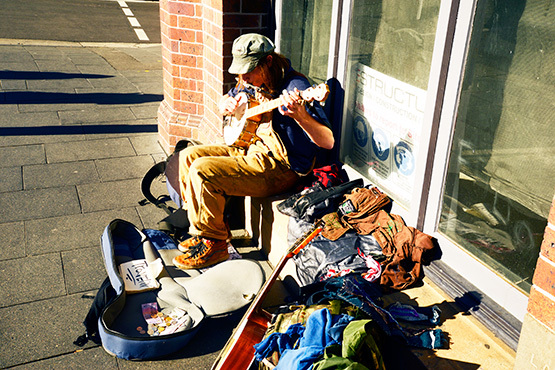 Newtown is also renowned for its live music scene and its street art. 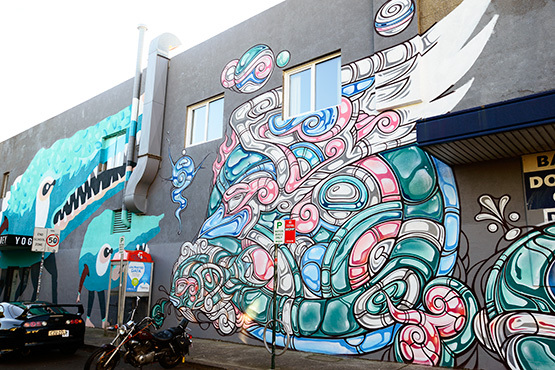 Goddard Street, in particular, has same visually exciting street art. The great thing about King Street is that you are sure to find things that will interest you. 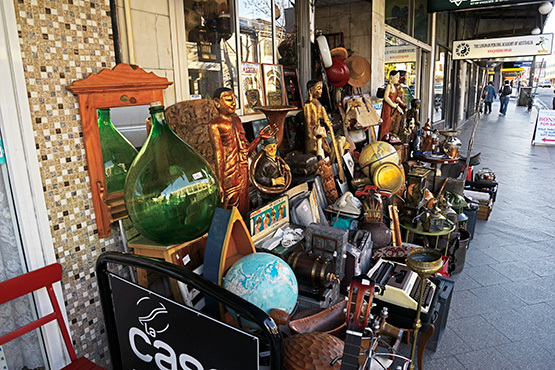 There is so much diversity in the strip that you can't help but stumble across things that appeal, whether it be eateries, bakeries, book shops, galleries, antique shops or pubs. To visit Sydney and not make the short journey to Newtown would be missing out on one of the great experiences this city has to offer.